I hope you’re thinking of going to Sicily in 2017! Join me for one of our small-group multi-sensory tours, or we’ll design a custom itinerary for you and your loved ones that matches your interests and budget. 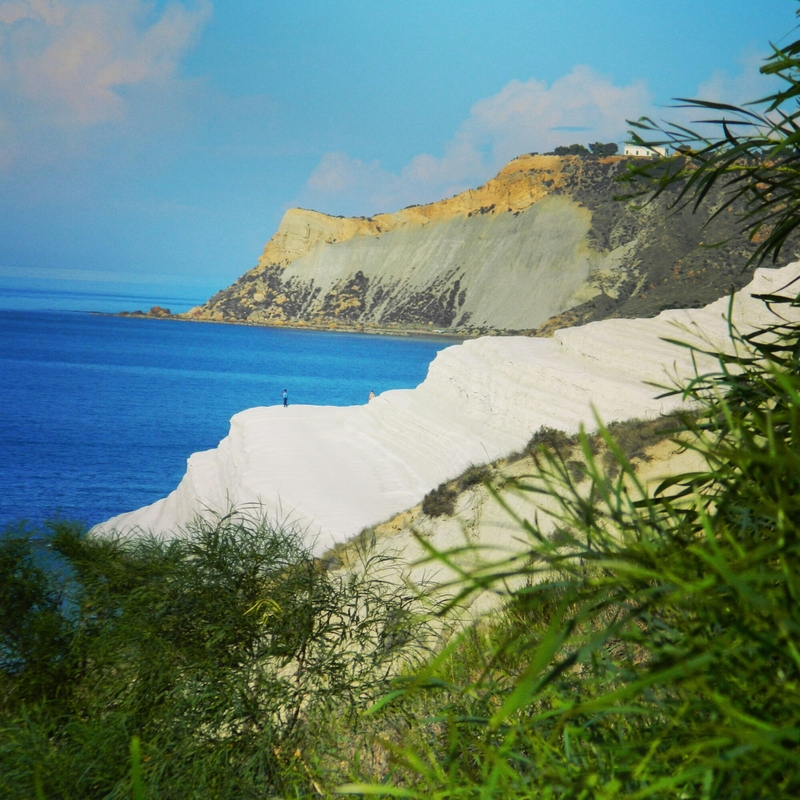 Discover natural wonders like Scala dei Turchi (pictured). Mingle with locals who will delight you with their warm hospitality. Be awestruck by seven UNESCO World Heritage Sites and enraptured by outstanding seasonal cuisine. Sicily has so much to offer. My cousins and I at Experience Sicily will show you the way! Contact us at ExperienceSicily.com. Thanks for all of the wonderful info about Sicily. I hope to visit in the next year or two. My husband would like to know if there are mountain ranges that have any hiking trails that he can do? Ciao Deborah, yes! Sicily has a number of mountain ranges and of course, Etna, the volcano! We have wonderful guides that could lead you on the volcano and at the Alcantara Gorge as well. The Nebrodi and Madonie Mountains offer beautiful excursions and unique cuisine to match. Additionally, nature preserves like Lo Zingaro offer a breathtaking seaside trek.